Brussels publishes its plan to negotiate a free trade agreement with Washington. The European Commission made public on Friday 18 January its mandate to negotiate a free trade agreement with the United States. The latter will have to be limited to tariffs on industrial products, including those in the automotive sector, but explicitly exclude agriculture. 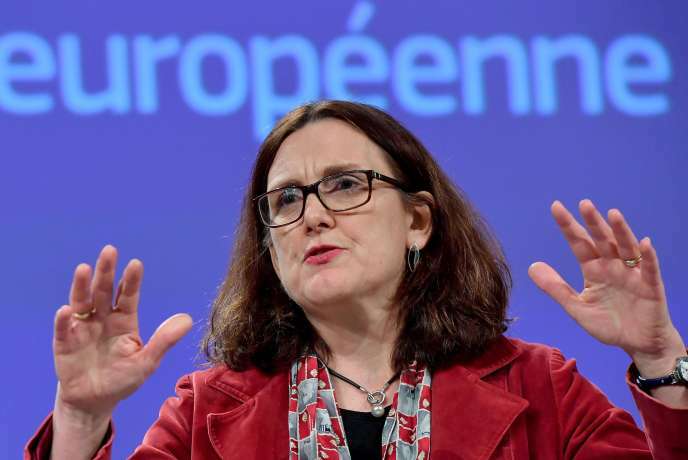 "This sector has been set aside," insisted Cecilia Malmström, the EU Trade Commissioner. Even though the Swede took great care to minimize the ambition of this mandate (a proposal "Limited" she said), he still thinks of a mini "TTIP", this free trade treaty that Brussels had begun to discuss with the Obama administration between 2013 and 2017, and which had sparked, at the time, very strong reluctance in the public opinion of Member States. At the Commission, we are well aware of the sensitive nature of this subject, presented, moreover, at a delicate political moment for the Union, a few months away from the May European elections, and while the mistrust of citizens at the Free trade policies continue to grow. But Europe would have no choice, according to sources in Brussels. To prevent US President Donald Trump from putting his threat into effect and not taxing European car exports to the United States, Jean-Claude Juncker, the Commission's president, promised on 25 July Blanche, to restart trade talks with Washington. Since then, the Union plays a little watch, having no desire to engage in such delicate deals as unpopular (at least in France). But the threat still looms large, and in Washington, the Trump administration insists more and more to discuss the tax cuts on its exports of agricultural products, an absolute ban for Paris. In early January, the Office of the US Trade Representative published a draft negotiating mandate extended to agriculture. It is to cut the grass under the feet of the Americans, while honoring their promise of summer 2018, that the Europeans came out of the woods on Friday. Make public their mandate, besides securing the exclusion of agriculture from discussions, "Forces the Member States to unity", ensures a European diplomat. "Publication is premature and not at all justified"
The tactical arguments used by the Commissioner Friday did not convince everyone in Paris. " There is no question of approaching a TTIP, even light and even by restricting the mandate to industrial tariffs, its publication is premature and not justified at all in view of the American attitude ", provides a French source.